Monkey temple is said to be the birth place of Hanuman... The trek to the temple is nearly six hundred steps, which can be a bit exhausting if you are not used to walking. 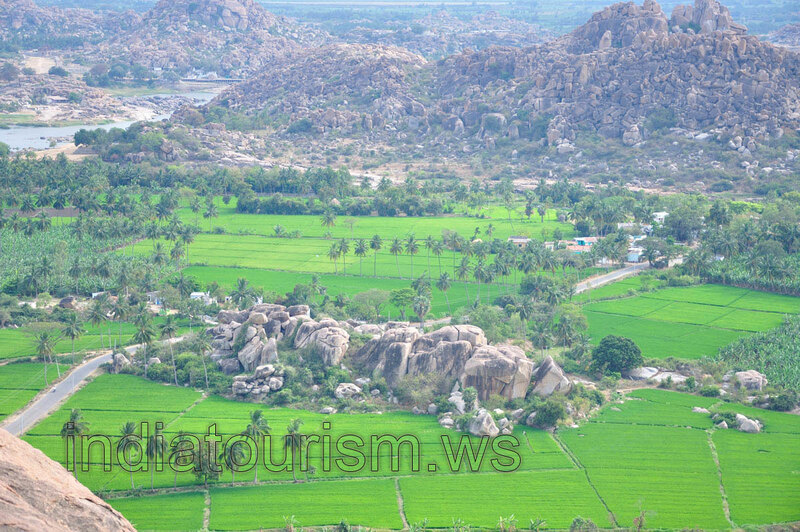 But the view from the top is really breathtaking, as you get a complete panoramic view of Hampi. Do visit the temple around evening time, as the sunset from the top of the hill is awesome. You can just sit on the boulders and enjoy the cool breeze and watch the serenity of the setting sun.